The best way to understand what makes the Lytro camera a leap forward in photography is to see how it works. Don’t be limited by how you used to take pictures, Lytro is a different kind of camera. Use the blur on the rear LCD to determine how much refocus you will have in your resulting living picture. You want what would have been a shallow depth of field in a traditional camera. No blur on the LCD = no refocus in your living picture. Bracket by moving: Move in and out to both push the limits of refocus and to ensure that you have a sharply refocusable final picture. It’s still a camera! Hold the Lytro camera steady to avoid motion blur, especially at high focal lengths. Lighting is still key: Light-field cameras are cool, but you can’t get around bad lighting. Get regular feedback from he community and from Lytro camera experts. We are active on our Facebook page and support forums, and will respond directly. Digital cameras have fallen victim to a common problem in our gadget-obsessed era: They are in a pitched battle over a megapixel here and a millimeter there, but none are changing the way we think about photography. Except Lytro. Lytro is a leap forward in photography. 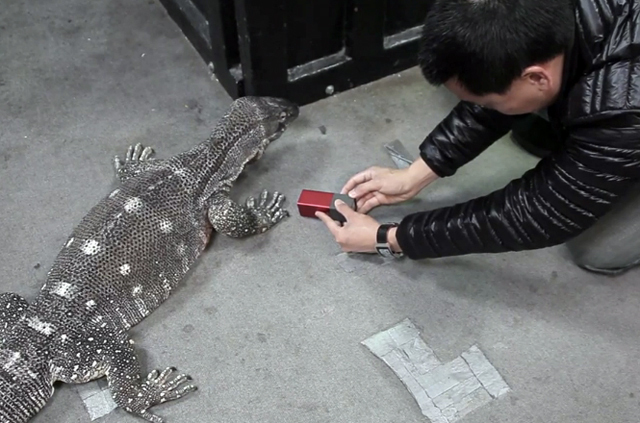 While other cameras focus on only one object at a time, the Lytro doesn’t focus at all. Instead, it captures as much light as possible so that you can focus the image later, by manipulating the digital image on your computer. In this video, Lytro’s director of photography, Eric Cheng, shows how the “consumer light-field camera” works, and offers tips for getting great images from the device. Cheng was a software engineer who quit to follow his passion for diving and photography before joining Lytro, where his role is to “make this new technology around photography understandable to normal people.” He also got peed on by a tarantula during our shoot–let’s see Google’s HR department top that. 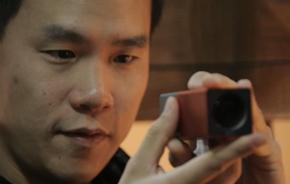 Lytro doesn’t replace other forms of digital photography, says Cheng. But it offers certain features you don’t get from other cameras. And it’s a lot more fun than squeezing one more megapixel out of your next photo. Innovation Agents profiles the personalities behind the ideas that shake up business as usual. Discover more about these pioneers here.